Let me start by wishing each of you who read this had a wonderful holidays. The holidays were very, very busy … not to mention filled with plenty of basketball! I watched my fair share of games from my iPad or computer from the warmth of a hotel room. I also watched my fair share of results in front of a lovely Christmas tree in my home. It certainly made the last few weeks entertaining. It, however, did not make voting in the men’s Top 25 any easier. No surprise in this age of parity that there are plenty of losses to contemplate. Of course with losses come wins that need to be analyze as well. Nothing is simple. A win isn’t equal to another win. A loss doesn’t equal another loss. There is a lot to consider especially when there has been two weeks of basketball to consider. Finishing up my MBB #d3h #Top25. My son asks me what I'm going to do. My wife, "I think Daddy is going to sit there and cry." Sums it up! To read more of Bob’s thoughts, click here. To Bob’s point, there are a number of teams who can be considered for the Top 25 on any given week. I have had to stop allowing myself to keep expanding my list. Maybe that is stubborn and that effort to put some blinders on to keep from getting distracted may have me miss a team or two, but at the same time I don’t have enough time in a week to allow my list to expand to 50 or more squads. They all have an argument to be on the list. What makes it challenging is they all also have an argument for why they shouldn’t be in the Top 25. Furthermore, an argument that works for Team A doesn’t work for the rest. Just as an argument for Team B doesn’t work for the rest. It is very, very hard to stick to just one set of factors to make determinations. For me this week, I spent a good amount of time nearly blowing up the ballot. Starting from nearly scratch. You will find that even if teams won in the last two weeks, I may have removed them. Sometimes I asked myself a basic question: would they beat this team or that? That basic question actually had me make some bold moves. I have previously unranked team in my Top 10. I have another just outside the Top 10. Of course there were some significant losses that dictated a lot of moves I made, though the bottom half of my previous ballot didn’t lose as much as the top half which usually makes it harder to get new teams in. However, there are other factors, results, and details that caused me to make many of my moves. Getting the opportunity to see Salisbury play Ramapo at the D3hoops.com Classic is invaluable on so many different levels. I will say one of the biggest advantage any Top 25 voter has is seeing teams in person. It is impossible to see all of them across the country in gyms and arenas and luckily video streaming has become an invaluable tool. As the season progresses, web streams will become my most used tool. However, I do get the advantage of seeing some very good teams in person and this year at the D3hoops.com Classic was no exception. You will see how that impacted my ballot shortly. However, it goes to prove why events like Hoopsville and D3hoops.com Classics and others with top-tier teams are not only great events to attend for teams, but also invaluable for Top 25 voters who choose to show up to such events (more than you may realize). As I have in the past, I have restarted my efforts to mark who I have seen in person in the past year (including the second half of last season) with an “*” next to each one. Maybe at some point this year I will also indicate who I have seen on video, but for now I don’t think it needs to be represented. Eric Bridgeland’s Whitman squad hasn’t lost and continues to move up the polls. But are they for real? I moved the Blues up a spot after they beat Marietta. In hindsight, maybe I should have just left them at #3, but I thought despite some tight results they have at least beat the competition in front of them and remained undefeated. That all said, I am nervous. Whitman has never been this high in the rankings. Are they really that good? Did getting past Whitworth last season in the NCAA tournament really make that big a difference? Or are they going to peak early and struggle in conference (though, saying that makes me shake my own head). Whitman didn’t blow me away with their win at home against Wooster. However, they got past an admittedly somewhat-struggling Marietta squad. We shall see how things progress. I hope I end up being very comfortable with this in a few weeks. What makes the Gothic Knights scary on paper is their defense. Have you seen how much they hold their opponents below their offensive average? In a lot of cases, 20 or more points. However, I feel I might be buying in too much with much of the NJAC schedule including two games against Ramapo ahead. The NJAC has struggled to live up to national expectations this century. In the last ten or so years, only one team has gotten out of the first round of the NCAA Tournament. However, the top of the conference is shaping up to be pretty special … and there are voices telling me NJCU may be the best it has been in recent history. Some tough games coming up… I am holding by breathe. I don’t have a game to point to for this move. The Cardinals Vikings (SMH, typo on my part) moved up because of a lot of other teams moving around. That said, they have two legitimate All-Americans and the supporting staff is playing extremely well. Many knew North Park would be good this season, but my feeling right now is they are far better than I expected. This team looks scary this season. Cory Soanes and Ramapo impressed at the D3hoops.com Classic. The Roadrunners and NJCU could have magical seasons ahead. This is the biggest move I think I have made on my Top 25 ballot during a season (I moved UMHB up pretty darn high after they were unranked and finished runner-up to Amherst for the national championship in 2013). Ramapo really impressed me in Las Vegas this year. I think this is the best Roadrunners team I have seen at the D3hoops.com Classic and that includes teams who have been national ranked in the past. They play an aggressive and controlled defense, they have several weapons on offense which keeps teams from being able to double-team, and they have plenty of speed. Coach McBreen clearly thinks this team has more to prove, but he is also coaching a squad who is far more ready this time of year than in years past. This team is really scary and really deep. The only challenge is Ramapo has been blowing out a lot of teams this season. Focusing on beating good teams and playing an entire 40 minutes has been a challenge – they allowed Salisbury who was down 12 to get back in the game and nearly beat the Roadrunners. NJAC play could either get them focused on putting away teams or allow a few to get wins they shouldn’t have gotten and put Ramapo in trouble. I look forward to seeing how it plays out. Everyone knew the Cardinals had a good test this holiday season after starting the season undefeated. They rose to the challenge including a dominating win over Marietta. Wesleyan’s inside presence is better than I had given them credit. The question remains: will they be exposed in NESCAC play? Right now, I think Joe Reilly’s team may be the biggest surprise. I already had been told the NESCAC could be 7-deep this year on top. I think people expected Wesleyan to be in that group of seven. I don’t think people thought they could end up being the best of the group. Josh Weix and the Blugolds were one of the best offenses I have seen recently. Here is an example of a team that kept rising on this week’s ballot as I asked the question: “would they beat so-and-so?” This may have been one of the better disciplined offensive teams I have seen in a long time – especially this time of year. Their ball movement was tremendous. They broke the shooting record at the D3hoops.com Classic with a better-than-.630 performance in their first game against Gustavus Adolphus. They have size, outside shooting, and a really good defense. Many had thought UW River Falls would be the class of the WIAC. UW Whitewater is undefeated (though spoiler alert, I am not voting for them as of yet). However, I think the Blugolds may be the best WIAC team this year especially if the lights of conference play don’t distract them. Two losses you would think result in a bigger fall than four… and even I took extra time to make sure this was the right move. I actually had them down to 19th at one point, but the same question I asked UWEC I asked Salisbury. I just couldn’t get them lower without putting them behind teams I thought they could beat. Yes, the D3hoops.com Classic was rough, but the Sea Gulls lost to a very good Ramapo squad and Hardin-Simmons (who proved some things to me). They simply ran into a couple of very good teams and tough match-ups while also having to deal with the fact they are adjusting to changes at point guard. Those losses should only make Salisbury a better team. If not, we will know very quickly and my decision to only lower them four spots will be adjusted just as quickly. St. Norbert once again has more questions than answers as they move into their conference schedule. I am going through the usual Q&A with the Green Knights. Nothing on paper blows one away about SNC, however they always show they can keep winning. Sure, their conference isn’t the most difficult, but they control the conference so amazingly well. The loss to UW-Oshkosh isn’t shocking, but it does set-up for a tougher NCAA tournament bracket in March. I may have allowed St. Norbert to float a little too high on my ballot, so the loss and other results allowed me to possibly recheck my expectations a little. Ouch. Tough few weeks of December for the Pioneers. Lost three out of four and 0-2 in the period of this vote. Yes, they lost to really good teams, so I tried to not to ding them too much for that. However, what got them so high on my ballot is that they had beaten similiar teams so I expected that trend to continue. One thing seems to be coming true, they struggle with any squad that has good size inside who does more than just stand around. Marietta may be learning the hard way that relying on Edwards inside isn’t going to get them far. As good a player as he is, he needs others to step up and be just as dangerous. I sense that when the team loses Edwards as a threat, they lose their offense. I could be wrong, but I plan to watch them very closely the next few weeks to see what adjustments they make to compensate for what John Carroll, Wesleyan, and Whitman exposed. Another holiday period for another team. The Dutchmen probably don’t want to see Williams or Wilkes again, though one of them is likely to be repeated in the future. If Hope had only lost to Williams, so be it. However, the Wilkes loss shocked me the most. Wilkes isn’t bad, but they aren’t necessarily a threat to Top 25 squads unless something is wrong. I probably should have dinged Hope a bit more and moved them further down, but I have too many questions for those below. We shall see how Hope responds from at least one ugly loss. They aren’t going to get necessarily the same challenge from the conference as we have come to expect, so it will be the small things that will be the most important to watch. Nathaniel Jack and Hardin-Simmons realize it is now or never. Could the Cowboys surprise many this year? I voted for the Cowboys in the preseason and had been scratching my head since. I knew they had lost players, but I didn’t quite grasp what was going on. Turns out they had suffered their fair share of injuries and I was lucky enough to see them back at 100% (virtually) for the first time all season. HSU has a ton of weapons starting with Nathaniel Jack. He not only knows were he needs to be, but he has such amazing court and game awareness that he adds a completely different dimension besides good ball handling and speed to his list of weapons. Mix in Justin Jones inside (6-8 force) along with shooting weapons like Hopper, Dixon, O’Neil, and others and this team could be a surprise come March. They have to stay focused in a conference that might not test them as much as other voters want, but Craig Carse has a scary squad featuring seven seniors who realize it is now or never. I wasn’t sold on Williams (or much of the rest of the NESCAC like Middlebury), but then they beat Hope. It ended up being a coin-toss between the Ephs and Middlebury and I went with the more southern team (not a decision factor). Williams also leads to a fourth NESCAC team on my ballot which seems pretty incredible, but when those in the conference tell me they think it is a seven-deep conference then maybe this feels right. We shall find out soon enough as conference play begins. Did I pick the right squad to ride? I will preface this segment by saying I had to find teams to remove to get other teams onto the ballot. I wish I had found a few more because I felt there were other deserving teams to vote for as well. While none of the teams below did anything major to drop out, there was enough of an excuse or just an uneasy feeling that had me make the move. It wasn’t easy by any stretch of the imagination especially when the lower-half of my Top 25 didn’t take as many losses that make it easy to make these decisions. North Central’s Connor Raridon is out with a broken hand. Cardinals seem to be missing his shooting presence a lot. There wasn’t a lot the Cardinals did or did not do to drop from 15th to off my ballot, but the fact one of their top weapons, Connor Rairdon, is out with a broken hand concerns me. I think they are a bit more exposed and their offense is going to be easier to defend. I realize they only lost one game since the last poll (to a good UWSP team) and they beat Wartburg (who I still have ranked), but I am not as confident about them as I was prior. Another example of a team who did a lot to deserve to be dropped out, but something about their result doesn’t blow me away. They beat Chicago, lost to Middlebury. Neither of those teams are currently on my poll. While the Titans appear to be a good team, I am just not blown away. Yes, I could argue that about others as well. For now, IWU is out. Conference play could easily change my mind. Emory actually did NOT lose during the holidays between Top 25 polls, but when I went back and looked through who they have played and what they have done, I just wasn’t impressed. Wins over William Peace, Guilford, and Maryville don’t spur me. Losses to Covenant and LaGrange are not ignorable. On a week I am looking for excuses to drop a team from my ballot, Emory gave me reasons to move them out and nothing to keep them in. Another team that didn’t lose any games and won a tough game in overtime to a squad who may be far better than advertised (Hood), but Swathmore isn’t blowing me away, either. In many ways, it came down to whether I thought Ramapo, UW-Eau Claire, Hardin-Simmons, or Williams would beat Swarthmore (or others on the “Dropped Out” list) and the answer was: yes. I do think Swarthmore would struggle with those squads. For now, they out. We shall see if Centennial play possibly helps them this year. Babson returns not only Joey Flannery, but 100% of it’s scoring from last season. There is one thing I can already determine from just the first few weeks of the 2016-17 season… parity has not gone anywhere. If anything, it has gotten more engrained. No, this is not shocking. I pretty much expected another year of parity on the men’s side of Division III basketball, but something I think many are starting to get used to is seeing top teams taking losses early in the season. Ryan Scott, D3hoops.com’s new Around the Nation’s columnist, wrote an article last week talking about how much the 70% rule has changed scheduling across Division III. More and more teams are willing to not only challenge themselves by improving their schedules, but also travel to do that. Events like the Hoopsville National Invitational Classic are spurring teams to do both (yeah I know, shameless plug). All of this is adding up to one thing: far better teams are facing each other earlier in the season which adds up to many more losses especially when there are far more good teams around the country than there used to be. What’s my point? It is going to be another very difficult year trying to figure out who the best 25 teams in the country are every week. Don’t get me wrong, I love filling out my ballot each week and taking longer look at teams than many people in Division III ever consider doing. However, sometimes I just wouldn’t mind having the chance to rubber stamp most of my selections like they can in football most weeks (side-shot at my football brethren just because I can). Many have Amherst number one, I just can’t buy in when Babson looks like the better team even on paper. Before you ask: yes, there were a number of schools I considered. Yes, it was very difficult. Yes, I am fully aware before the season started I may have misjudged a number of teams on and off my ballot. Yes, it felt a little like a crap shoot. I did try to take a little different tactic with my preseason ballot and not take nearly as much time. I couldn’t make the argument that spending two more hours working through details would make that large a difference in the end. Who knows, I might have a different point of view next year. And yes, my ballot took a pounding in the opening weeks of the season. The overall D3hoops.com Preseason Top 25 had 25 losses in it. Mine: 27. So, I got back to work and tried to weed through probably 50 teams all with varying arguments to be considered. No, I am not promising I have this figured out. Remember, I am just one voter with one train of thinking – even if that thinking is derailed from team to team. I will say this; I am not a fan of large shifts on my ballot. People may not agree with me and that is fine – not going to change my feelings about it. When I make large shifts (as you will see this week especially) I am either usually blowing up my ballot or I get uneasy. It makes me worry I am being too reactionary; like a gunshot wedding. Yeah, I understand there will be people who shake their head and say I should make drastic moves, but there are times I feel if I do I will only regret it later when the team doesn’t live up to the move up or only returns to where I would have put them anyway. To be blunt, the Beavers have a lot on paper that looks really good. Returning everyone from a team I feel would have been in Salem had Flannery not been injured early in the NCAA tournament. They are also compressing a third or more of their season into the first quarter and so far, living to tell about it. I know I am part of the minority right now, but I will get to that later. Marietta’s AJ Edwards has helped lead his team to the most impressive start to the year of any team. The Pioneers are good. Damn good. I watched them dismantle Christopher Newport in a game I had been highly anticipating after hoping to have seen it last year in the national quarterfinals. They then didn’t let down against Wooster and handed them the bus keys at halftime. But no, they are not my number one team – they didn’t beat my top team and I think Babson is deeper with possibly more threats inside. That isn’t a shot against AJ Edwards who is a deserving preseason first-team All-American. However, I do think Edwards will need help as they get deep into conference play. I also hope Marietta isn’t peaking too soon, but that might be that other voice in my head who doesn’t like the fact I moved a team up 14 spots (ha!). I know most voters have the purple and white number one, but I’m not there. First of all, I don’t think they get past Babson last year if Flannery is 100%. Secondly, they lost one of their most important players from last year’s squad Conner Green who could take over a game if needed. That isn’t to say Amherst isn’t very good, I just can’t buy in to the number one team right now. And nothing about their early season schedule would change my mind. Just a note of comparison: Amherst beat Anna Maria (0-5) by 11-points while shooting 51-percent while Babson beat the same Amcats by 50 while shooting 70+ percent. I am a little nervous about the Jumbos being this high, but they have a really good team back from a tremendous run last season. I can’t see any reason to expect them to not have another good season with so many of the pieces from last year’s squad back, but as with most NESCAC teams I am going to have to wait a little longer until their schedule toughens up – this week. The Cardinals have replaced Augustana (and Elmhurst) as the top dog in the CCIW this season. North Central showed last year that they had retooled quickly and would be right back in the fray. They already started with a win over Benedictine and Alma, though that later one isn’t as great as previously expected. However, we get to see just how good NCC is this week with three straight CCIW opponents starting with Illinois Wesleyan on December 3. CNU may need to rely more on Aaron McFarland to help Tim Daly and Marcus Carter succeed this season. The Captains game against Marietta shocked me. I expected the game to be nip and tuck most of the way and coming down to the wire. It was over fairly early. That may be more of a sign of how good Marietta is early this season, but at the same time it might be CNU trying to readjust roles to a team that made a run to Salem last season. Most of the parts are back, but when players graduated it doesn’t matter how many return, sometimes there are growing pains. Recovering to handle Dickinson in their next game is a good sign John Krikorian’s squad got the message. But CNU will be involved in one of the more difficult conference battles in the country this year, so this promises to be a long season. Last year the Scots showed they could fly a little under the radar and still put together a heck of a season. So, expectations are probably pretty high in central Ohio. The loss to Marietta is going to sting, but the Pioneers have had their way of Wooster the last three games, so maybe it was expected. That said, the NCAC will be an interesting battle this year so Wooster needs to be on their toes in every game. This may be a year I am willing to buy in with Wooster after several years of not being sold. I will be honest, I am unsure what to make of the Missionaries. They made a great run in the NCAA tournament last year including beating their arch-nemisis in Whitworth, but Eric Bridgeland’s group never seems to live up to expectations in the past. Can that change? Absolutely. Has it? Not sure, yet. I have seen years when I thought they would finally step up to the next level and they failed in front of my eyes. The start to this season at least has shown me maybe they are finally there. Their win over Texas Lutheran, granted without TLU’s best player being at his best, was far more impressive than Whitworth’s the next day. The best part: we get to see just how good they may be with their first battle with Whitworth just over a week away. Call it a must watch game for Division III fans so plan to stay up! In the preseason poll, I had the Pirates ranked ahead of Whitman despite the NCAA result last season. The past has always said Whitworth has been the better team, but maybe not this year. As good as Matt Logie’s squad has been, they just might be a step behind Whitman this year. And yes, two NWC teams in the Top 10 isn’t that far off – it isn’t that surprising on the women’s side, after all. The difference is this is the year the NWC needs to finally prove it when March rolls around. One of the most consistent teams in the Central Region, if not the entire country, the last five years has been the Green Knights. They have torn through their conference and held their own for the most part against others in their region, despite some tough, early-round, match-ups in the NCAA tournament. But consistency along with bringing back a solid core from last year’s squad (94% or better of their scoring, rebounding, assists, etc.) should have people take notice. Of course, starting the season with a loss to UW-Eau Claire may give people pause, except the Blugolds might be the class of the WIAC this year. Lose a game and move up six spots? Yeah odd, I know. The loss to Cornerstone is like all results against non-Division III teams in Hope’s region – hard to truly gauge especially for those outside of the area. Hope has a good team who should be able to build on last season. They may not get much of a battle in the MIAA with Calvin and possibly Alma all being down, but John Carroll, UW-Lacrosse, Stevens Point ahead in the next three games will be a great test. The defending national champions may have lost a lot of players from last year, but John Tauer always seems to have the answers to stay in the national conversation. I can hear many say it, I have the Tommies too high. The defending national champions lost a lot in the off-season thanks to graduation (damn graduations in college sports LOL). However, the one thing St. Thomas has always done is reload, retool, re-whatever very, very well. They have not won 11 straight conference regular season titles for any other reason. That said, the conference has become far more difficult in the last few years as proof of the Tommies losing the conference title game to St. Olaf last year. But I am not about to just write-off St. Thomas because they lost a bunch of players. John Tauer has one major weapon back, Grant Shaeffer, and any team would love to have him on their squad. First, I think the Yellow Jackets may be a sleeping giant or a dark horse this season. The second half of last season saw Rochester quietly storm through the UAA with nine straight wins including sweeping Wash U and Chicago on back-to-back weekends before they stubbed their toe on the final weekend. Rochester brought back a lot of that squad with regained confidence. Rochester very well could win the UAA this season, but that gets me to my second though – this is a large jump up the poll for me. Twelve spots based on six wins over an interesting collection of teams – none of them upper echelon teams, necessarily. Outside of St. John Fisher, Rochester doesn’t have a lot tests on their schedule before getting into the UAA schedule. They may have to stay undefeated for others to buy in. I heard a few people mention to me they liked the Yellow Jackets (is there a hive on this ballot or in Division III?) when I asked around this off season. I wasn’t sure what to make of it. But wins over St. Mary’s (Md.) and New Jersey City made me take notice after Baldwin Wallace rolled through Case Western Reserve to start the season. Maybe I am jumping on this one too hard (and not others hard enough), but I like the fact BW is back in the national conversation. There is something about how they are made up that makes me think they could make some waves and keep John Carroll honest in the OAC. Here is another team I think is far more dangerous than people realize. Not only do they return most of last year’s squad who ran second to Christopher Newport in the Capital Athletic Conference and got to the second round of the NCAA tournament, but they also return one of the program’s best players who was out last season with an injury (though, one could argue who is the best player since they could have two All-Americans on the squad by the end of the season). The Sea Gulls will be part of a crazy battle this season in the CAC with CNU as well as a resurgent St. Mary’s and Mary Washington among others that could make the CAC the best conference to watch this year. 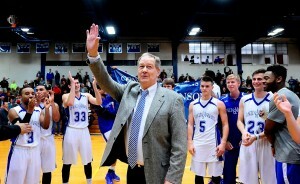 Andy Sach’s squad has started the season with a win over Virginia Wesleyan, Johns Hopkins, and Staten Island and will head to D3hoops.com Classic to play Ramapo and Hardin-Simmons but not before playing CNU in an early season must-watch game. Jalen Harris is leading the Gothic Knights in scoring on a squad many think could be one of the best in program history. I keep hearing the Gothic Knights could potentially have the program’s best season in a long time – I am looking forward to seeing if this does indeed happen. However, they need to make sure to handle their out of conference schedule. They have already lost once to Baldwin Wallace, who I now have ranked ahead of them. Considering they may take some lumps in the NJAC (as the conference likes to eat it’s young), NJCU has got to focus on the last few games of their out-of-conference schedule over the holidays. But before they get there, they run through four conference opponents starting this week. I like the Thoroughbreds. They have a terrific core back on the floor with their All-American talent, Aldin Medunjanin, back from injury, so similar to Salisbury they are in a position to have a special season. However, as Joe Burke admitted in a recent history with me on Hoopsville, this program has been knocking on the door to the next level. Remember Skidmore has first round wins the last few years and then narrow second-round losses to good squads like Johns Hopkins and Tufts at their places. This has to be the year to push through. Not sure how the conference schedule will help or hurt, so Skidmore has to remain strong and maybe even dominate teams when possible. I realize the Hornets lost a good group from last year’s record-setting year, but I don’t think Lynchburg will fall off that much. Hillary Scott has done a very good job bringing Lynchburg back to the top of the ODAC and they have broken through. The loss to UW-Stevens Point was interesting at the Hoopsville Classic. However, I think that was more of a testament of showing off just how well UWSP can play defense when needed. Lynchburg will use that game as motivation and an example the rest of the season. In the preseason, I wasn’t sure what to make of the Titans. I only had one team from the CCIW ranked which felt odd (though, not as odd as not having any WIAC teams), but despite the fact IWU had been picked to finish second in the conference I wasn’t sure how that translated to the Top 25. A 5-0 start with some solid wins answered some of those questions. I do wonder if the Titans are really that good in the long run, but it will be fun to see a little more green in the national conversation. The Eagles had nothing short of a magical run last year. To be the only team in all of NCAA men’s basketball to nearly go undefeated for the season was incredible, but they didn’t lose as much from that team as people thought. They also had a tough slate to start the season and had some close losses. I suspect Benedictine will remain in the national conversation this year. Ryan Cain is no longer the interim head coach of Keene State and the team has rewarded him by possibly improving on last year. The Owls were the surprise of the NCAA tournament last year. Under, then, interim coach Ryan Cain suddenly Keene State was in the second weekend. But does that really mean they are one of the best teams in the country? I was a bit skeptical in the pre-season. Everyone knows about the Owls now, but they started strong with wins over (depleted) Southern Vermont, Hartwick, and Springfield to name a few. No, none of them are world beaters, but Keene State has won in dominating fashion. Maybe the Northeast has a few new teams to look at outside of the NESCAC and NEWMAC. Speaking of new teams in the Northeast, hello Endicott! I didn’t want to drink the Kool-Aid in the preseason, but can’t ignore the fact Gulls have done well to start the year. A narrow loss to my number-one Babson and a win over then-nationally ranked Middlebury. Couple those with how they finished the season and what they have back and Endicott looks like a fresh face to watch in New England as well. The challenge now: there aren’t a lot of games the rest of the season to truly gauge Endicott. I may have whiffed on a few teams in the pre-season, may have … it is still to be determined … the Yellow Jackets (seriously, is there a hive here?) may be one of them. Emory was strong last year though retooling from previous powerful teams. I thought reading the tea leaves an listening to those I trust that Emory would be right back in the conversation nationally. Maybe not. A loss to start the season against Covenant and then another to LaGrange are head scratchers. They also narrowly snuck past Guilford in double-overtime. Maybe I should have just dropped Emory, but I felt like holding on. We shall see. This wasn’t the start I expected for an out-of-conference schedule that is not as challenging as it has been in the past for Emory. Any feel that breeze? I may have swung hard and missed on a slow-pitch softball pitch. My back might be hurting. What is going on with the Battling Bishops? When I voted they had lost two straight to Capital and Illinois Wesleyan (who dominated). As I finish writing this blog, they have now lost to Otterbein. I know Mike DeWitt likes his team this year. I liked what I saw. Three first-team NCAC players returning to a squad that got to the Sweet 16 last year and looked really, really good. Sometimes a new season doesn’t necessarily bring the same chemistry. Might need to head back to the science lab to figure this one out in Delaware, Ohio because the Battling Bishops have already used up a lot of wiggle room for any selection criteria in the first six games of the season. John Carroll has started the season by seemingly looking up at everyone else. When Mike Moran announced this would be his last season you had to figure the squad would respond and create a magical finish for the long-time coach. Not sure this is how anyone thought the season would begin. Two-straight losses to Mt. St. Joseph’s and Hanover to start the season and now a loss to Hope (after we voted and before I was finishing this blog post). Guh. I may have swung and missed here as well. Maybe the Blue Streaks are distracted more with the future than the present. Who knows, but this is not what I expected for a squad who looked so good last year and brought back so many of those same parts. I knew the Scots had lost a few pieces from a terrific team last year, but I also knew who was back. I also knew they lost a guard who seemed to be good off the bench (Beckman) who decided to try and go to a higher division (and transferred to Hope just to go to school; not playing), but I read that as maybe a gain, not a loss (he wasn’t buying in any way since he thought he was better than Division III). But I did NOT know they had two of their most important parts suffer injuries in the pre-season and wouldn’t be back anytime soon. I wouldn’t have voted for Alma in the preseason with that information. Now four-straight losses off a single win to start the season… Alma will be playing for an automatic-bid the rest of the way. The SUNYAC may be one of the top three conference races to watch this season and there were many who thought the Lakers could be a special team this year. Not only did they have a lot of parts from last year’s NCAA second-weekend team returning including pre-season All-American Brian Sortino, but they got some heralded transfers. But Oswego State has stumbled once again to start a season. I need to keep this fact in mind. I haven’t seen the Lakers get through the first half of a season without stubbing their toe. I just can’t keep them in my Top 25 with losses to Nazareth and Hamilton and no significant wins. We shall see what conference play reveals. The Cowboys really look like a good team, but Coach Carse’s squad hasn’t shown it in the box scores as of yet. I like what Hardin-Simmons has in a team. Last year they struggled and I think you can make a direct correlation of their struggles to Craig Carse’s health last year. He’s back. The team is back. But they started the year 2-2. But there isn’t a coach I talk to who has watched them or seen tape who doesn’t like what they see. Going to wait for now. I’ll get to see them in person against some decent competition in Las Vegas. I’ll reevaluate then. The one thing I have gotten very used to is that Dave Macedo never reloads – he constantly has parts to put into what we all consider holes. He has one of the deepest rosters in the country and he finds talent in places no one else is able. But could parity be taking a bite out of the Marlins? For a program that is routinely in the Top 25 for the past decade, they seem to struggle to dominate out of conference now. That is where parity could be playing role. It could also be an example of stronger out-of-conference scheduling. The loss to Salisbury wasn’t that bad. The loss to Emory & Henry? Not sure what to make there. There are some who think E&H is poised to appear on top of the ODAC. I am not so sure. Thus, I have knocked VWC out for now. I’ll see them on Sunday and can reevaluate before the next poll. I apologize for the length of this post. Future blogs will be shorter as I won’t write capsules on each team. We are also discussing an idea of altering this to a video-based post, a Hoopsville vignette as it where, in the future. It always seems that once a year the day Regional Rankings are released there is carnage… or at least the week of that release. But I did NOT see last Wednesday coming or what would result the rest of the week. I figured we had another week before things might get a little crazy as teams are focused on conference postseasons and such. Nope. Last week was brutal. You may remember last week I blew up my ballot, considered at least 20 teams outside of my Top 25, shook up most of the ballot, and replaced four of the teams on my ballot. Whelp, this week was nearly the same. I ended up writing down and diving deep into 23 teams (meaning I was seriously considering 48 teams! ), reshuffled nearly the entire Top 10, and blew up basically everything from about 17 down. It results in replacing five teams and shaking my head quite a bit. I keep threatening to throw darts. I am not sure why I didn’t resort to that this week. Not much else I can say. I saw a lot of games this week in person or online (though, I missed an awesome opportunity to see a Top 10 battle, which I talked about on Hoopsville Sunday) and really tried to give as many teams I have questions about a fair shake. It is just amazing how many teams that ends up including. I got a chance to see the Captains in person this weekend. Damn they are good. Granted, the York (Pa.) game isn’t exactly the best place to compare against, especially since YCP played hard in the second half to make it interesting for a brief moment. However, Christopher Newport has a ton of weapons and to paraphrase Scott Guise at YCP they have players coming off the bench who could start for a lot of teams in the Mid-Atlantic. I agree with Ryan Scott who said recently this is a team who could make serious run for Salem considering the bracket they will probably run through. The Pioneers put their foot down on the Great Lakes region this past week. Beating both Mount Union and John Carroll, they proved that the OAC and possibly those wanting to go to Salem via the Great Lakes will have to go through Marietta to get it done. Very impressive. Certainly a statement week. Here’s hoping the Pioneers use it to keep themselves motivated, versus losing focus after two major games. John Carroll lost control of their season, ever so slightly, last week. Rough week for the Blue Streaks… who saw their 21-game win-streak to start the season come to an end. I wouldn’t have dinged them too much for losing to Baldwin Wallace first, though not the team I expected them to lose to, but they couldn’t regain their footing before Marietta kept them streaking in the wrong direction. I still think John Carroll is a dangerously good team, but they have to forget about these two losses with Mount Union up next and then a good showing needed in the conference tournament if they want to enter the NCAA Tournament strong. I thought about moving the Battling Bishops down a little further after another odd loss, this time to Wabash, but there is a buffer below them where I don’t think the teams below are better. However, it is another head-scratching loss for Ohio Wesleyan. I hope they haven’t peaked too early and are running out of gas. A lot of teams this part of the season are licking their wounds from the grind and OWU is clearly in that boat, but they have to find a way to recover, rest, and respond… because they missed a prime opportunity to regain first place in the NCAC for themselves by losing to Wabash. St. Norbert is still undefeated in conference. A feat that has them readily moving up the IIAC. I actually figured the way the Wildcats were blistering the conference they would go undefeated in the GNAC. They proved that point by thumping Lasell (who is second in the conference) earlier last week, but Albertus Magnus made up for a 55-point beatdown earlier in the season with a confident eight-point win on Saturday. I give AMC’s Mitch Oliver most of the credit for that win considering his ability to adjust, but the Wildcats need to be a bit like Teflon and let that loss slide off and get back to work in the final week of the season before the conference tournament begins. Plattsburgh State wants to make sure they are wearing white during the SUNYAC tournament. Wow! The Cardinals got blitzed by Oswego State! At first, I thought about dropping Plattsburgh State significantly as a result, but then I considered two things: Oswego is playing really well (though digging out of an early season hole) and there really aren’t that many teams below Plattsburgh I would feel comfortable putting ahead of them. That one loss doesn’t change the fact they are in control of the SUNYAC which will mean a lot of teams making a very long trip to try and knock them off. North Central (Ill.) finally cracked into Dave’s Top 25. OK… I am ranking the Cardinals. I still have some reservations with North Central, but they finally got a win I have been waiting for. NCC has played a lot of good teams this season, which means their have an incredible SOS, a respectable number of regionally ranked opponents, and more. However, they can’t seem to get a significant win until last week and some of their resume has faded near the end of the season (Chicago, Mount Union, etc.). So, I am ranking North Central this week, but I am rather confident they will lose at least one more game in the next two weeks (in the CCIW tournament) if they don’t do it first on the road against North Park this weekend. The UAA is just crazy this year! This was Chicago’s to take just a few weeks ago and all of the sudden it is Rochester who has won eight straight and sits in a tie with Emory on top of the rankings. And with three games to play, NYU and Chicago are only two games back waiting for Rochester and Emory to stumble. But back to the Yellow Jackets who, like I said, have won eight straight including beating NYU who beat Emory this weekend. Rochester is also well positioned in the first regional rankings and after this weekend I can’t imagine that changes … meaning if the UAA is going to get an extra bid to the NCAA Tournament, Rochester might be their best bet – if they don’t surprisingly win the conference! Babson returns to Dave’s ballot thanks to winning 11 of their last 12 games. Hard to ignore the Beavers any more. They have won seven straight and 11 of their last 12 and taken firm control of the NEWMAC race. In the grand scheme of things, their five losses aren’t bad, though only one or two are “good” (Amherst and Tufts). However, this is how I expected this team to play this season and maybe they have found themselves at the perfect time to make a respectable run back to Salem. Quietly, the Marlins are reemerging as the team to beat out of the South Region. Dave Macedo has gotten the squad pointed in the right direction and they have now won 9 of their last 10 (though, Randolph-Macon trounced them) and 12 of their last 14. But, I am a little nervous. They are still not dominating teams, though it looks like they have figured out how to scrap for wins and win tight games which where letting slip through their hands earlier this season. They are also now on top of the ODAC.. but that doesn’t really mean much in the grand scheme of things because no match-up at the Salem Civic Center appears to be easy this year – or any year for that matter. Tufts will due battle in the NESCAC conference tournament starting this weekend. I have been watching Tufts for weeks. And while they have a recent loss to Trinity that has me uneasy (and debating about putting Trinity here instead), there is something about how Bob Sheldon’s team is play – including an impressive win over Amherst recently – that I like. Though, I will admit I didn’t like it necessarily last week. They have at least followed up the win with more wins. Coincidently they finished with a win on the road at Williams Saturday and will have a rematch this Saturday in the NESCAC quarterfinals (at Trinity). That is something that could easily derail the Jumbos if they don’t watch out. No major reasons I have been moving Northwestern down my ballot except I have been making room for teams I think are better than the Eagles. However, I will say when I see their SOS this week is unofficially** a .399 I get very concerned. Northwestern has basically played no one, especially in the UMAC. And while that didn’t mean much last season leading them to an incredible run in the NCAA Tournament… I think it is a telling sign this season. 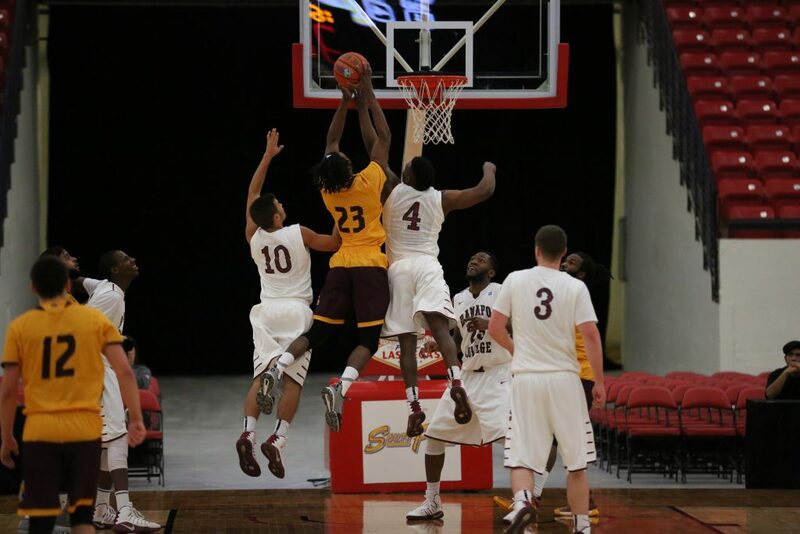 They also are not going to get into the tournament unless they take care of business in the UMAC tournament. PSU-Behrend nearly dropped out of Dave’s Top 25 after losing to Medaille last week. Not only did they lose a conference game they shouldn’t be losing, but there are other teams surging that need to get put ahead of them in the poll – thus a drop of seven spots for the Lions. Here is another team basically in a win-the-conference-or-go-home boat – as they were last year when they missed out on the tournament. They may only have two losses, but Behrend doesn’t feel like a Top 25 team anymore… though I am staying with them for right now. Just when I thought the Scots had figured things out, they stumble again. You quickly forget about wins over Ohio Wesleyan when you come back and lose to Hiram. I know Hiram is a much improved team, that isn’t the issue. The issue is Wooster isn’t consistent this season and thus I am not comfortable with them in my Top 25. Emory let the UAA lead slip out of their grip, but three games remain in what can only be described as a chaotic conference race. Just when I buy in, they stumble, too. I am not one of those voters who thinks NYU is a great team (or at least a Top 25 team), thus the loss by Emory is not a good one in my book. They had a chance to keep control of the UAA, but now put themselves in a must-win situation. Their saving grace is their insane SOS (.600) which will probably still keep them in the at-large conversation in a very loss-heavy South Region in less than two weeks. Eh. Another team I buy into and suffers a loss I can’t explain or understand. It isn’t that Concordia (Wis.) is a bad team, but if Aurora is a Top 25 team they win that game. I like Aurora, but I don’t like that loss. It was part of the carnage, I realize. But when you are at the bottom of a voter’s ballot, any slip up will most likely cost you. F&M is still a work in progress for a program that has been maybe over achieving since last season. I got a chance to finally see the Diplomats in person this year (I usually see them at least once, more likely twice a season; saw a lot of them on video streams this year) and I wasn’t impressed. What I saw equaled what the voice in the back of my head had been saying for a long time. They have some nice players, but the starting five has a few holes and they cannot play consistent or a full 40 minutes. I saw a team that got frustrated at the drop of a hat and Johns Hopkins (who they were playing against) took full advantage when their only true inside presence had to take a break for foul trouble. What is also telling: when F&M fans I know tell me they don’t think the Diplomats are a Top 25 team, either (no, I am not going to name names). ** – the number comes from Matt Snyder’s SOS math which last week was proven to be nearly identical to the NCAA’s data. You can find it here along with his regional predictions based on that data here. So now that we have gotten that out of the way, how this season has played out so far… I am bound to replace half of this Top 25 in the next two weeks as conference seasons come to a close and conference tournaments turn everything on its head. It has been an unbelievable year so far… why wouldn’t the last two weeks of the regular season be any different. Buckle up… this is going to be fun… and insane. Augustana remains the top team on my ballot despite a loss. I’d be lying if I told you I don’t think about my Top 25 ballot throughout the week. I think about the next ballot from about the moment I submit the current week’s ballot until I vote the following week. However, I don’t think I have focused on my ballot more during any week than I did this week. For obvious reasons. On Wednesday night, I watched one of the more exciting and well played in-season basketball games in a long time. That or the fact I got to see two top five programs dual it out into overtime two days after a classic of a game between #1 and #2 in Division I swayed me. Either way, Augustana and Elmhurst played a whale of a game that needed five more minutes and smart officiating to be decided. I knew from the moment the game ended and Elmhurst won that there was a lot to think about. And it would have ramifications all the way down the ballot. I hinted at my thinking then on Thursday night’s Hoopsville and talked about the debate I had going on in my head not only about who do I consider voting for number one, but how other teams who didn’t even play in the game factor in. It was also another crazy week in terms of losses. The top two-thirds of my ballot was relatively quiet (thank you gentlemen! ), but the last eleven teams accounted for nine losses. Nine of the entire ten in my ballot (the tenth being Augustana). That caused me to go out on some limbs, get aggressive with some cuts, and debate about blowing the entire thing up. However, considering the top 14 teams did not lose (outside of Augustana), blowing up the entire ballot didn’t seem like the right thing to do. So there were two major shuffles: at the top where deciding on the number one team had ramifications all the way down to the ninth spot on the ballot; at the bottom where the final eleven spots saw four new teams and a bit of back-and-forth as to where to slot people. With that in mind… let’s get to the ballot! My thoughts on Thursday’s Hoopsville (further explained on Sunday’s show) ended up holding true. I thought about this several times a day since they lost on Wednesday. As I stated in last week’s blog, I knew Augustana was not going to get through the CCIW schedule undefeated (there is a reason no one has since 1973). If I knew that, then I am expecting my number one team to lose. Considering they lost to the second best team in the conference, on the road, by two points, in overtime said a lot to me. The Vikings had lost a game that no one should be surprised they lost. This isn’t a loss at home to Millikin or Carthage. It’s to a team I had second in my pre-season ballot and furthermore it was on the road for Augustana. And I’ve said this before, I don’t believe that just because a team wins a single game head-to-head that they automatically should be considered the better team. I still think Augustana is the best team in the country. Elmhurst didn’t get my first place vote, but they moved up significantly after beating Augustana in overtime. Beat the number one team in the country, on your floor, and in overtime… well done. THIS is the Blue Jays squad I expected in the pre-season. Not the team that lost to Benedictine by 20 (more on that shortly). Elmhurst played extremely well and deserve the victory. They came from behind in the second half and overtime while also giving up leads throughout the game. What do you expect from two very, very good basketball teams? I debated about making Elmhurst number one, but I don’t feel they can repeat this feat at Augustana nor do I feel if this game had been at Augustana the outcome, a win, would have been repeated. If played ten times, I think Augustana wins a majority of the games so thus, Elmhurst is number two. It’s not what the Pirates did or didn’t do, it’s what Elmhurst did that precipitated this move. I did consider Whitworth for the top slot. However, I have seen the Pirates in person this year and Augustana both on video this year and in person at the Championship Weekend last year. I just don’t think Whitworth would be able to beat Augustana right now. They may have to do it in the NCAA tournament (because the Pirates always ended up in the toughest bracket), but right now they move down a spot just so I can put Elmhurst number two. Same as Whitworth; needed to find room for Elmhurst. Another team I certainly considered, but if I had them behind Whitworth and said not to the Pirates, I don’t feel Hope has done anything as of late to change my mind. I feel like copying and pasting what I said for Whitworth and Hope and pasting it in here. Same reason(s). A win over Bethel is a nice feather, but expected. Not enough to warrant leap-frogging those ahead of them last week. Here is the most challenging team on my ballot. The Eagles are undefeated and they beat Elmhurst by 20. At least one voter decided they were worthy enough to get a number one vote. I can only assume that is based on the Benedictine beat Carthage, Carthage beat Augustana, thus Benedictine would also beat Augustana theory. It is a theory I just can’t buy into. I realize there are a ton of factors at play with every single game making no game equal. So, I am not one to buy into head-to-head should trump all or that you can play the Team A beat Team B, Team B beat Team C, thus Team A is better than Team C game. Benedictine is clearly a good team, but in a sub-par conference. They clearly have gotten it done out of conference (five games, five opponents from the CCIW). My concern is someone in their conference is going to beat them and that will raise more questions than it answers. I also don’t think Benedictine would be able to beat Augustana. So I moved the Eagles up, but I’m not sure I can move them much higher. More moving of teams to find slots. I needed to get Elmhurst and Benedictine higher, so Ohio Wesleyan moved down. It has nothing to do with the Battling Bishops except I think those other two squads are better right now. Amherst got back to their winning ways after the Rhodes loss last week. Again, moving down to create room. I am not blown away by the Lord Jeffs this season, but it isn’t like Dave Hixon doesn’t put together a solid program. Top 10 feels safe. At this point in my ballot last week is where teams started to lose thus creating a vacuum. WPI is having a good season, better than I expected which makes me leery. I know others are buying in. I am being cautious with the Engineers for right now. Granted, a win over an also-better-than-expected MIT squad was a good sign this week. I have had my eye on Tufts for a while, but was sure if they were as good as advertised. The season started “eh” with losses to MIT and WPI and close games against opponents I figured they would dominate… so I waited. Then they beat Babson^, but I waited some more. Then they beat Whitman in a very high-scoring affair and I got intrigued, but wasn’t buying in. This week they rolled over Bowdoin and creamed Colby, two teams who have been getting Top 25 attention and are having very good seasons, especially Colby, and I decided to buy in. Now jumping to the 16th spot is a big jump for a team I was waiting on, but that vacuum created in this area of the poll needed to be filled. Their two wins I thought were better than what those lower on this ballot had put together for resume points, so here the Jumbos sit. Middlebury, Hamilton, and Wesleyan ahead. Getting a bunch of transfers in to replace a ton of talent may be the new way to go in the WIAC! It clearly seems things are coming together nicely now for the Warhawks as they steamrolled through UW-Stout and then handed UW-Stevens Point their second loss in a row. My thinking has been the top of the WIAC has come down a bit this season, but the Warhawks are proving there may be a national contender in the making after all from the state of Wisconsin. Winning the games in conference they are supposed to win. I am hoping to see them this coming weekend in person, but it is looking doubtful due to schedule conflicts. Also continue to win the games they are supposed to win. I appreciate that when it happens as it is easy to get complacent and trip up. I’ve been watching what the Maroons have been up to since the beginning of the season, but didn’t want to buy in ahead of a major victory. They got that last week. Page Moir’s squad is clicking on all cylinders. They even beat a Division I opponent which counts as a loss for North Carolina A&T, but not for the Maroons (exhibition). In almost all of those games, Roanoke has put up 100+ points (eight of their 13 games). And then they went and beat Virginia Wesleyan AT the Fish Tank! Roanoke is on top of the ODAC and playing some of the best basketball I have seen from this program in a very long time. I am actually excited just writing this because Page Moir is one of the best guys in Division III and I couldn’t have been happier to write down “Roanoke” on my ballot. Now the tough part: The target is on their back with Hampden-Sydney and Randolph-Macon coming up this week. Trine has emerged as a dangerous team in the MIAA. Trine didn’t win both of their games this past week, but considering their loss was to a better-than-their-record Calvin squad, I am not surprised. What stood out to me was a comment by a MIAA follower on D3boards.com that stated Trine was “everything they said they are” which I took as a compliment. The MIAA race is deeper at the top than I expected, though I can’t see Hope not winning it, and it’s because teams like Trine have developed incredibly well while everyone has been watching Hope and Calvin. According to the polls (mine and the D3hoops.com poll from last week) the loss to St. Thomas was expected. Thus, no changes here. For as great a start to the season it was for the Bulldogs, they aren’t stay very consistent right now. The eight spots is a bit harsh, but the vacuum created by them and others further up caused a bit of a fall after their loss to Baruch. I am just not seeing the same dominance they showed at the beginning of the season. Granted, the CUNYAC is far more difficult that people are giving it credit for this season. However, Brooklyn needs to focus on winning the games they should if they want to secure an at-large bid should Lehman or others win the conference AQ. Franklin & Marshall’s Glenn Robinson thanking the crowd celebrating his 900th career win. I am slipping the Diplomats onto my poll, though nervously. I have not bought in as many other voters have with this squad. I still see a number of weaknesses and I am not sure they can dominate a sub-par, compared to seasons past, Centennial Conference as they seem to be doing right now. However, I watched most of their game against up-and-coming Swarthmore and was impressed with how composed they were and how much they willed themselves to victory over a team that wouldn’t quit. Now, they were also playing to get Glenn Robinson his 900th victory (congratulations once again), so that may have been the driving force. And that is what worries me. They have hit the milestone mark that was on this season’s schedule. Can they continue to win now that the emotional mark has been passed? Losing three in a row, no longer the leader of a crazy NJAC, and certainly not looking like their dominating selves, it was time to punt on the Ospreys. There just isn’t anyone in the NJAC worth noting in the Top 25 right now because they are beating themselves up. Even conference leader New Jersey City (6-1) has an “eh” overall record of 8-5. Stockton could have taken advantage of William Paterson’s major stumble at the beginning of the season, but in turn has stumbled themselves. Conference coaches may be right that the NJAC is the most difficult conference top to bottom, one through ten, but they are not the best conference nationally if the top of the conference can’t at least be a dominating team(s). I debated about this. The Lakers lost only the second game going into this poll, but they lost by 38 to Oneonta State. Ugly isn’t the right word. I have been high on Oswego for most of the season, but they are in the middle of what is now a crowded race in the SUNYAC which sees two-thirds of the conference fighting it out at the top. If I am voting for Oswego, then I have to find room for Cortland, Plattsburgh, Buffalo State, Oneonta, etc. They all have nine-wins (Oswego with eight) and no more than three losses. But there isn’t enough room for those four squads, so Oswego comes out and I watch the SUNYAC race ever closer to try and figure out who is playing the best basketball amongst a lot of very good teams. Three games in the Landmark Conference this past week was a true test. It wrapped up six games in twelve days for the Royals who came out of it 5-1. So why drop the Royals from my ballot? It was a hard debate, but at least I got to see Scranton in person before making my decision. It came down to the fact they lost to Susquehanna on their home court by 15. The result was expected per the poll, but you can’t lose that game by 15 in your own gum. Then the Royals played one of the more incredible games shooting wise against Goucher on the road and had to come from 13 down in the second half along with getting bailed out thanks to a dumb foul by a Goucher played in the final five seconds to pull off a one-point victory. I am not faulting them for the game at Goucher as both teams shot over 57% for the game, but I saw some inconsistencies that worried me – mainly, the ability to get into an offense that is dominating and then as quickly as they got into it go away from it for no reason taking their foot off an opponent’s throat. I also saw Catholic this past week and think in many ways, but for different reasons, the two squads are evenly matched (yet again) and don’t feel comfortable voting for both. Scranton is out for now, but with Catholic on the horizon, they could easily be back in the poll soon. Well that didn’t last long. I thought the Lutes looked really good at the D3hoops.com Classic. They then laid an egg twice against Linfield and George Fox both on the road. Not pretty. Those two losses are going to stick with me for a while should I ever consider Pacific Lutheran again. Another crazy week in the Top 25. The middle of my ballot seems pretty solid, right now, which is saying a lot considering how wide open it had been from about number six down. Of course, that could change next week completely. Moving forward I have probably 70 teams I am watching to some degree and constantly realize I need to add another team to the list. There is only so much time I can give to these votes, so having a team slip through isn’t unheard of nor unexpected. At the same time, this is the time of year when usually I can start narrowing the list dramatically since the grind of conference season will weed out the pretenders. That being said, this year has proven to not fit any of the usual voting rhythms, so I am sure I will be on a plane headed back from Texas next Sunday wondering how much of Monday will be spent tearing my ballot a part. Well then. Three weeks of results should make it far easier to determine who are the best 25 teams in the country. Right? HA! Wrong. Don’t get me wrong. I really didn’t have high expectations going into this week’s voting. I knew it was going to be tough. Last week, I had read somewhere there was 90+ schools in Division III men’s basketball with 2 or fewer losses, I think. So in preparation to vote and for this blog, I double-checked that number on the NCAA stats website: it’s actually 64 teams (through games played 1/3/16) – women have 78 teams, in case you were curious. At least the number wasn’t 90+, but 64 teams with two or fewer losses is still a lot of programs. No. Before you think I am going to consider every one of those 2-loss teams for my ballot, that isn’t possible. Yes. I also didn’t preclude teams who have lost more than two games. Heck, there were several sitting on my previous ballot. But just in the simplest of thinking: there are more than 70 teams out of 415 (technically) that one could at least bring up based on their record and say, “why not so-and-so” when talking about the Top 25. A ballot that only represents the top six-percent of the division… and more than 17-percent of the division could make some kind of argument to be included. In early January. The result? I nearly blew the entire ballot up. If I actually had more time in my day on Monday (I had a basketball game to attend for a client), I would have done it. Instead, I did the next best thing: a major shake-up. For those who know me and these blogs over the last few years, you know I am good for at least one “blow-up” vote a season. Usually two. While I resorted to a major shake-up this time around, I am already looking to probably having to blow it up in the next week or two and start nearly from scratch. I won’t bore you with why and how I blow up a ballot in this blog, but the major shake-up took shape when I got into the section between 5-10 as I voted. I had a team moving down into the group, I had teams at the bottom of the ballot who really needed to move up and probably deserved more than a handful of spots. I also have had a large drop off in my feelings of who really is the best seventh, eighth, ninth, etc. best team in the country the entire season. As a result, I decided to get bold with a few teams and make some major moves northward. I also decided to just punt on a team I had ranked number ten previously. And I got aggressive both up and down with other squads. The moving around forced me to look outside of not only my Top 25 but who had been on my short-list but off the ballot in the previous weeks and search for other candidates. Between the information we get from D3hoops.com, the information I had already had on the side to keep track of, and the information I went searching for on Sunday night and Monday… I probably had nearly 70 teams I considered in some manner this week. Some were easily dismissed. Others didn’t make it and are gnawing at me. Some made the ballot, despite reservations I have even sitting here now. But I wasn’t alone. I spoke to several voters this week (most of whom reached out to me) and to say there is almost no consensus would be an understatement. Besides Augustana being the number one team in the country and maybe having the same feeling for who are the top four or five teams (not necessarily the same order), no one has even a remotely similar ballot. Everyone has valid arguments and opinions. No one feels absolutely sure they are right in their read on almost any of the teams. There are many teams who are not living up to any expectations anyone had in the preseason or early part of the season. There are many other teams who are playing so far above preseason expectations it is hard to know if things are for real. There is so much parity and so many good teams it is really hard to nail down who are the best 25 in the country right now. Before we look at this week’s ballot, here is my ballot from mid-December. I wasn’t able to get my blog out due to football and other commitments that week, but you do need to know where I was coming from heading into this week. That was Week 3, December 13th’s ballot. Just to give you a head’s up, I did take a peak at early SOS numbers as best calculated my our friend —. I realize these numbers are very raw due to the fact a lot of teams haven’t played half their schedule and conference action hasn’t had an influence (good or bad), but they gave me an idea of what teams had in their out-of-conference scheduling (despite some conference games mixed in, but I can read between the lines with that). You can find the info here: . I did use it to break up some teams in a group, but usually the SOS number was dramatically different. I realize the Augies have had a few close games, but you have to expect that for a team who has a major target on their back for many reasons. They are getting into CCIW play where certainly every team and every coach knows each squad extremely well… and NO team has gone undefeated since 1973! 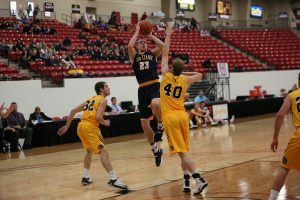 Will Augustana go unfazed through conference action – NO! I expect Augustana to take a loss or two before we get to the NCAA tournament, but that doesn’t mean I still don’t think they are the best team in the country. I got the chance to see the Pirates in action at the D3hoops.com Classic (called both of their games, actually) – I liked what I saw. I realize Whitworth hasn’t played the most difficult out of conference (their SOS is/was below .500), but they have talent and depth at nearly every single position on the court. It starts with Kenny Love who isn’t even the team’s leading scorer (see Christian Jurlina AND George Valle), but he is the one that makes this team go and draws the most attention. But it goes beyond Love, Jurlina, and Valley… add in Staudacher, Sears, Roach, Baker, Bishop… the list just gets longer of the guys they can bring in – even freshman – who make an impact. This might be one of the best teams Whitworth has had and it is unheralded right now because it is so hard to judge them in the Pacific Northwest. Their game against Calvin was tight as expected (at least I didn’t think it was going to be an easy game and I have a few coaches who will testify me telling them that in Vegas) and their game against UMHB took them out of their comfort zone. I wasn’t surprised in the least. I am comfortable with the Pirates at number two. Not sure what to add here. They got it done with four wins over the holiday break. They are the team to beat not only in the MIAA, but probably the Great Lakes Region – though that region is stacked at the top this year. Not much to add to what I have been talking about over the last few blogs. The Tommies didn’t have a very busy holiday break with just two games. They do now get into the conference tilt which isn’t as challenging schedule wise as in the past, but will still be daunting with Bethel, St. John’s, St. Olaf, Carleton, and Augsburg all with good first-half(ish) records and significant wins. The MIAC may be emerging as one of the top five in the country; it certainly is underrated in terms of talent and success. Another team who simply got the job done despite only playing two games. The Battling Bishops have a lot of talent, but now things get interesting as they re-enter conference play and Hiram enters the mix having beaten OWU already this season. Ohio Wesleyan needs to dominate a conference that can dominate for me to feel really comfortable with them at number five. I might have the Blue Jays a little high or at least not behind the only team they have lost to (more on that in a minute), but that one loss is starting to look better and better as time goes on. I already had high expectations for Elmhurst and they are living up to them with this start to the season. They are beating all kinds of different teams in different ways showing they can score a lot of points (125 vs. Buena Vista) or shut down teams (50 points for Albion). The top of the CCIW this season with Elmhurst and Augustana is damn good. I didn’t think I would be voting for the Eagles in my top ten this season. My mentality was similar to my approaches to teams like Albertus Magnus in years past. I just thought there was a ceiling I couldn’t put them through. I also expected Benedictine to lost at least once in their non-conference, CCIW-only set of five games even if they had beaten Elmhurst to garner national attention in the first place. They haven’t. That has warranted at least one voter I know to put Benedictine number two on his ballot. I’m not buying that high (and my vote probably offsets enough to place them number six overall). My only concern and reason for pulling in the reigns more than others is the fact that when you truly look at their non-conference schedule… they are beating CCIW teams who would consider themselves “average” by their own standards: Illinois Wesleyan (6-6), Wheaton (4-8), North Central (8-4), Carthage (7-5). Yes, the North Central win is starting to look better after the Cardinals started 2-3 on the season. And yes, Benedictine did blow the socks off last year’s NACC champs, Aurora, a few weeks ago. All that adds up to a significant win (Elmhurst) and two solid wins (North Central and Aurora) and pushes the Eagles through the ceiling I had self-imposed. But can Benedictine, a team coaches expected to battle but finish second in the league, go undefeated? That seems like a tall order, so how they deal with a loss or two in conference will be the real story of the season. Ok, I have now bought in with the Blue Streaks. You might remember in previous ballots I stated I was “leery how high I put the Blue Streak” because of what we hadn’t seen in awhile from John Carroll – early season success. So higher they streak on my ballot, buoyed by the fact they went 3-0 during the holidays including a solid win over conference-foe Marietta and a pretty solid Brockport State squad while in Florida. But now comes a dogged conference schedule and what should be a three-horse race at the top. The OAC should be fun to watch this season. A loss to Scranton, even if it is on your home floor, isn’t the worst thing in the world. I am not punishing the Captains for the loss by dropping them two spots as much as I was opening a spot to get the undefeated teams who were behind them ahead of them now that CNU is no longer undefeated themselves. You will notice later my opinion on Scranton and thus why the loss isn’t horrible for Christopher Newport. However, they have to be careful in the Capital Athletic Conference ahead for them are teams itching to pull off another upset (and the team they beat): PSU-Harrisburg (#21 Salisbury), Wesley (#2 VWC), Mary Washington (#18 VWC), York (Stevenson), and St. Mary’s (Salisbury) in the next five games. A second loss, needing room for undefeated teams behind them in the previous poll, and one of the losses being to John Carroll is why the Pioneers fell four spots on my poll. Normally a loss to a team I had previously ranked behind them and now rank ahead of them wouldn’t have resulted in four spots, but it did this time. Marietta is still a very dangerous team and after watching St. Vincent in person at the D3hoops.com Classic last week, I can better appreciate why Marietta lost that game. But like John Carroll, they re-enter OAC play with a large target (being regular season champs last season) and have some interesting challenges ahead in Ohio Northern, Capital, and Otterbein before seeing Mount Union for the first time this season. I think the Maroons are starting to click as a team, though I am sure others would disagree. Chicago has been a little streaky this season, but the two losses in the first three games of the season are well behind them and they are starting to take control of games including a 74-57 win over Illinois Wesleyan. We finally get to see the UAA start conference play and that always starts with Wash U for Chicago. This time it’s in St. Louis before then traveling to Carnegie Mellon and Case Western Reserve. Nothing is easy in the UAA, but Chicago has a chance to take control of the conference early if they stay focused. Just saying that I have three OAC teams in my Top 15 is a little surreal, but I like the Purple Raiders this season and not selling easily. Each of their losses look good in some capacity: William Paterson (despite internal problems seem to be recovering), North Central (as mentioned before are now off and running), and Colby (who is off to a quiet 9-1 start). And while good losses are fine and dandy, you need to get some good wins as well and the Mount has those in Chicago, Capital, and Ohio Northern. Their re-entry to OAC action is a little easier than the other three: Heidelberg, Wilmington, and Muskingum. But, after that they have John Carroll and Marietta back-to-back in mid-January – a perfect “mid-season” litmus test for the Purple Raiders. Not much to say here for the Bulldogs. They only played one game over the holidays and beat a very good in-conference opponent in Staten Island. I look forward to seeing them work through the rest of the conference schedule before I make a reevaluation of Brooklyn. Depending on who you ask, Stockton is either really good or overrated. I can get different opinions from just about everyone I talk to or ask. I don’t know if Stockton is as good as advertised or not. I know I lose favor in them last year at this point after seeing them in person. I will luckily get a chance to see how things are going since they play league-leading New Jersey City and vastly-improved over the break Ramapo in their next two games. In a strange scheduling occurrence… the Lakers didn’t play a single game in the three weeks between Top 25 votes. So, not much I can add now. They are in a very difficult SUNYAC from what the start of the season indicates. I will be interested to see how Oswego recovers from the long lay-off and reenters conference action. I finally decided to buy in with the Engineers this week. Why now? Because they still haven’t lost. Ok, they lost once to Fitchburg State. Say what?! Well, to be honest there are a lot of teams who have lost a game that makes no sense. WPI has actually beaten some good teams this season and in a year where everyone is beating everyone, it seems, the Engineers only have one blemish. Can’t say I saw that coming. So… I’m on board now. The MIAA might have the most interesting race in the country this year. At the beginning of the season in my conversation with Hope head coach Greg Mitchell on Hoopsville, he talked about how Alma was a team to watch out for along with obviously Calvin. We also talked about Trine. We also talked about Trine. The Thunder are off to a 10-1 mark with that one blemish coming to Ohio Wesleyan. They have beaten some good teams along the way as well. Trine has made the MIAA a four-team race and that’s not too bad for that conference. Big game coming up against an underrated Calvin squad (by their standards), but no matter the outcome I am looking forward to watching this race. It was a mixed bag of a holiday time frame for the Bulldogs. They ended up going 3-2, but against some pretty good teams. Loss to IWU, beat Alma, lost to Texas-Tyler, and then beat East Texas Baptist (again) and Southwestern. I wasn’t sure what to do with Texas Lutheran until I remember some of the conversations I have had with coaches out of Texas and read comments of those who have seen TLU in action. I am willing to keep TLU where they are here at 20th and see what happens next. The Bulldogs have a big weekend looming with hot-starting Austin in the second game of two. Going to keep a close eye on that one. Not much to add here for right now. The Eagles won five straight during the holiday poll break after losing to a good Bethel squad. There wasn’t any world-beating teams on the list, but it showed they can shake off a tough loss. Their win over UW-Stout was something I can better appreciate after seeing the Blue Devils in action in Las Vegas (good, solid team; no where close to what their 0-16 WIAC record last season indicated). Then the Eagles lost to North Central on Saturday. Not what I was expecting and I probably gave them a little too much credit by moving them up two spots (more on that … shortly). However before that loss, Northwestern wrapped up a two-loss 2015 year. That’s pretty darn impressive. The MIAC is just ridiculous these days. Bethel is certainly one of those reasons. The Royals are 8-1 with a pretty good out-of-conference schedule and an SOS that was higher than I expected. Their one loss: St. John’s. And that is what reveals the challenge of this poll especially this year and most particularly in this part of the poll. I could have easily put the 9-1 Johnnies in this spot instead of Bethel especially with their win over the Royals as an example. I also could have easily put Bethel ahead of Northwestern also thanks to the Royals win over the Eagles. But the Johnnies have a couple of non-Division III games that make it hard to appreciate those wins, they also have a loss to Carleton who beat St. John’s and St. Thomas in back-to-back games. So, I don’t think the Johnnies should be ranked ahead of Bethel and they were left out for now. But here is a conference (MIAC) that St. Thomas has won ten straight times, but we are talking about three teams who probably deserve to be in the Top 25. By the way, I am not sure why I left Bethel behind Northwestern – that one might have slipped past me. There are some Royals fans in the Poconos who might have just spit-taked their coffee. I have been a bit critical of Scranton, and the Landmark Conference, for a few years now. It doesn’t help that I know the conference very, very well and thus I see the teams a lot and all season. I just haven’t been buying into Scranton in recent years as they yo-yoed in and out of my ballot. Too many times I find inconsistencies and it frustrates me for a program I think could be so much better. This year, Susquehanna and Catholic were predicted to be better. Susquehanna has been; Catholic has not (the defense seems to be getting worse). Out of that has come the Royals. For most of the season, Scranton hasn’t had any significant wins until they beat Christopher Newport. That gave me a good reason to dive into the team. I still don’t see anything that blows me away outside of the win over CNU. However, their SOS was better than expected, they do have some good wins, and they haven’t taken the losses I have gotten used to that don’t make any sense (though, they did lose to Hobart). I will see the Royals later this week… so let’s see if this ranking holds. The Green Knights have been dominating teams once again this season. They would have moved up the poll, but they lost to Alma right at before voting and that gave me pause. It isn’t that Alma isn’t a good team; they are. I was just surprised coming off of an easy win over Anderson the night before AND it was at home. Now let’s see how St. Norbert does re-entering conference action. I didn’t know what to expect when I got to Las Vegas knowing I was going to see the Lutes. Actually, I am pretty sure I was going to be disappointed. I was going to see a team who clearly is overrated beating some easy non-Division III opponents. That’s not what I saw. Pacific Lutheran has a lot of size inside, good talent on the outside, and they don’t quit. This is a team that barely lost to Chicago earlier this season, handled a fired-up UMHB squad, and then held off a very tough squad in UW-Stout to prepare for (five-man substitution patterns that don’t hold at any point in a half). I was impressed. With two players scoring 18 points per game and a third in double-digits, there are plenty of dangerous weapons to help put the Northwest Conference on it’s head. Whitman is going to have a say eventually in this battle to play Whitworth for the title as well. I just can’t stay on board with a team that lost the only game it played in three weeks and has won just 60-percent of the games they have played. I know the Beavers lost a bit from last year’s final four, but they had a lot of good talent coming back and got other help especially in the transfer system. It resulted in a 5-0 start to the season, but since then the team has lost four of their last five. Yes, they are playing good… very good teams, but if you are deserving of being a Top 25 team you have do more than play those teams, you have to beat most of those teams. In reality, Babson is 1-4 in the tougher half of it’s schedule. That doesn’t deserve to be ranked even if they had been 10th previously. After a terrific start at 5-0 including two big wins at the Hoopsville National Invitational Classic, the Sea Gulls are 3-3 in the last six. Ouch. Salisbury would have stayed in the Top 25 if they hadn’t lost to St. Mary’s. Yeah, the Seahawks. The squad that for years dominated the Mid-Atlantic Region and got to Salem in the Elite Eight in 2013 after years of knocking on the door. This seasons St. Mary’s team isn’t bad, but if Salisbury is a Top 25 squad they should beat SMC … especially when it’s on their own home court! Salisbury is going to be dangerous especially if they get into the tournament, but they need to shake off their funk and get back on track. I never thought I would not have a single ODAC team ranked in my Top 25 in this day in age, but here we are. The Marlins are 7-4 after losing two in a row in the middle of Decemeber. It doesn’t seem like the usual reloading of talent as gone as smoothly for Dave Macedo’s squad this season. I can’t put my finger on it, but the Marlins just aren’t consistent this season. They may still make the NCAA tournament because they are at the top of a somewhat-down ODAC this season, but I think expectations of another good season because of the ability for them to have talent-in-waiting on the bench is probably unjustified this season. The Tigers drop out because they have lost two in a row. According to my last ballot, losing to TLU was expected. Then they lost to Concordia (Texas) – guh. The Tigers are still a good squad, but with so many teams worthy of being in the Top 25 conversation, losing two in a row when ranked that low on the ballot just gives me an easy excuse to replace them. I am interested to see how ETBU recovers and heads into conference action. This was probably one ballot too late, but I am now done with the Scots. This is clearly not their season, by their normal standards. That isn’t to say Wooster still isn’t very good. They just aren’t Top 25 good right now. The loss to Salisbury was just the excuse I needed to finally convince myself to pull the trigger. Wooster is still going to be very much involved in the very interesting NCAC race and may make the NCAA tournament, but I just don’t think they are one of the 25 best in the country like they usually are. Just an off year. Something of note: I think I have turned over half of my ballot in the last two or three polls and probably two-thirds of it so far this season. It is hard to really figure out who are the best in the country when so many schools can beat so many this season. So, I guess I am looking for more wins. That would be nice for another reason – I won’t feel like I have to write as much in each blog.